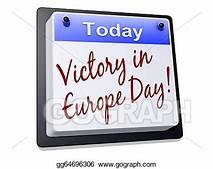 Victory in Europe Day (V-E Day) commemorates the end of fighting in Europe during World War II. After years of war, The Third Reich of Nazi Germany was defeated. Millions of people were killed. Adolf Hitler, Germany’s Dictator, had committed suicide in his bunker in Berlin. 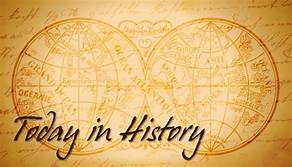 The German Army ceased fighting on May 2, and formally surrendered unconditionally, on May 7th. The surrender of all German forces was arranged for May 8 at 11:01. The Allied countries planned to celebrate the victory and the cessation of hostilities. Did you Know? The originally planned date for the celebration of V-E Day, was May 9th, 1945. But, journalists caught wind of the plans. So, the U.S. and Britain moved the date up by a day to May 8th. Russia kept to the originally planned date for May 9th. Russia still celebrates V-E Day on May 9th. Everybody who does something good, important and valuable deserves a day in their honor. Teachers certainly are among the most deserving. This day honors those hard working, patient and understanding people whom we entrust our children to. Teachers mold our kids in a positive direction, affecting who they are and who they become. From Kindergarten through college, teachers are an important part of our children’s lives. So let’s give ’em their due. If you happen to be a teacher reading this, we personally offer our thanks,. The future of America is in your hands. 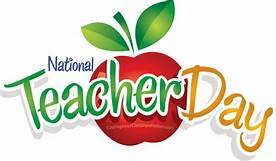 There is not a lot on the net written about Teacher’s Day. But, every Ecard site has a selection of cards for you to send. Take a quick minute and send one along. World Red Cross and Red Crescent Day date back to1922. At that time, the Czechoslovakia Red Cross National Society proclaimed a three-day truce at Easter to promote peace. The goal is to recognize one day every year to advocate for the relief of human suffering from disease, and the humanity of seeing a world free from suffering due to war. Searching For Something To Do Next Saturday? Don’t Wait, It Will Be Too Late……..